2600 Woodfern Ct, Homewood, AL.| MLS# 827734 | Richard Jacks UABLIVING.com 205-910-2297 | Birmingham AL Real Estate | Contact us to request more information about our Homes for Sale in the Birmingham AL area. What better time than now to move to flourishing Homewood! 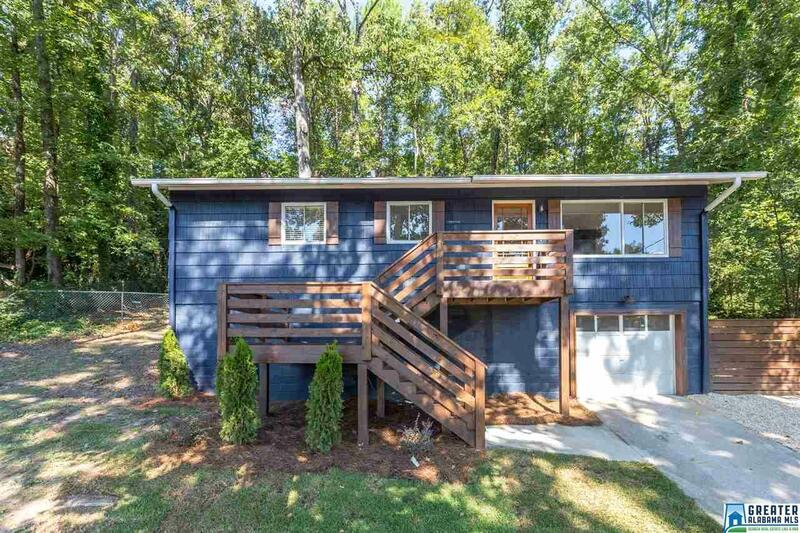 Newly renovated home located in the much desired Homewood school district! Walk to Little Donkey, Hero Doughnuts or the Homewood Park. If you are looking for an open floor plan, look no further! There is no space untouched in this newly renovated 4 bedroom 2 bath home. All new electrical, includes USB wall plugs in kitchen and baths as well as a bluetooth stereo speaker exhaust fan and light. Both upstairs bathrooms have completely new plumbing. Refinished hardwoods flow through the entire house, until it meets the unique marble designed tile in the Master bath. The updated kitchen offers granite counter tops, with brand new high-end Samsung appliances, along with the perfect wine refrigerator. The downstairs area offers the new owner the option to have a 4th bedroom or a second living area. This home has all you need plus the perfect location! !